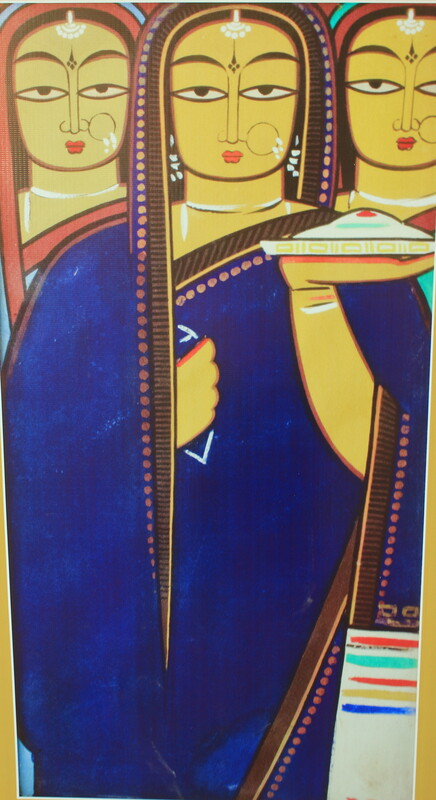 Colour, style, simplicity, innocence, and ample creativity best describe the artworks of artist extraordinaire Jamini Roy (1887-1972). Around 200 works including sculptures and sketches by the late artist adorn the National Gallery of Modern Art (NGMA) in Bangalore as part of an exhibition dedicated to him. The exhibition titled ‘Journey to the Roots’, curated by Ella Dutta, started on 20 March and will go on till 30 April. 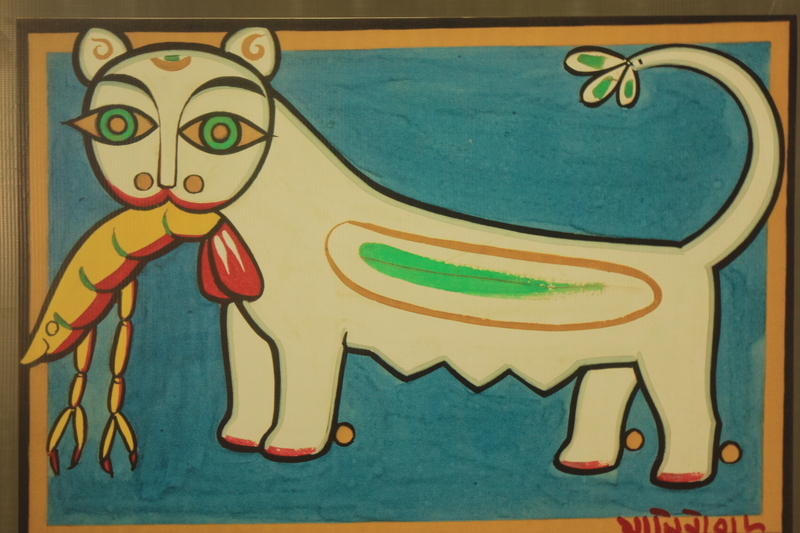 The exhibits are from the Jamini Roy collection at NGMA (Delhi) and Museum of Art and Photography (MAP), Bangalore. 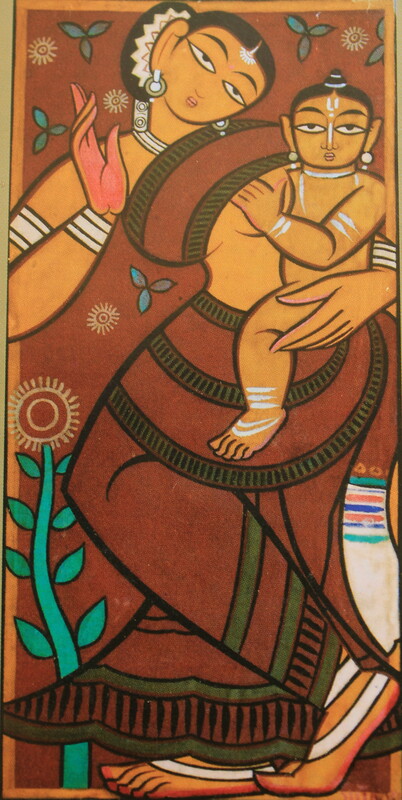 Born in 1887 to a middle-class family at Beliatore in the Bankura district of Bengal, Jamini Roy studied at the Government Art School in Kolkata. He was trained in the British academic style of painting. But like most of his famous contemporaries in the Bengal art scene of the early 20th century, he shunned the British style of art in spite of having complete mastery over it. He also all but gave up using oil paints the predominant medium in this style of art. This was in protest against the British rule in the country. 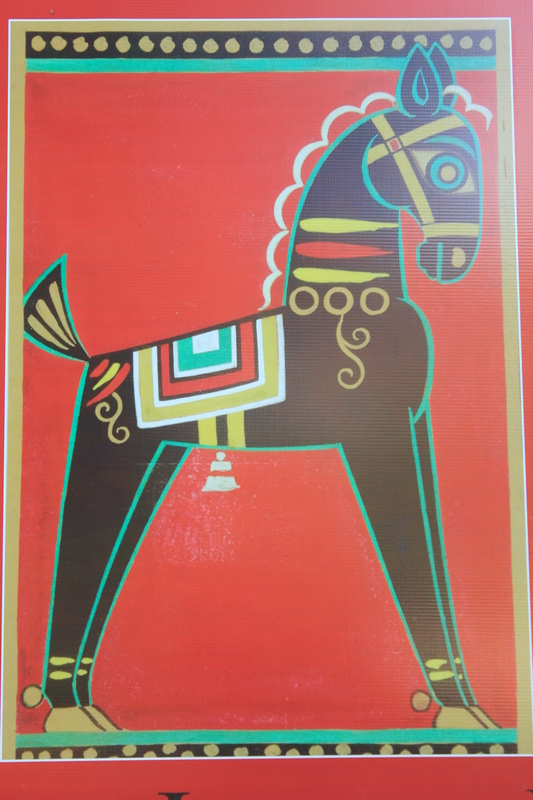 Instead, Jamini Roy inspired by the folk art tradition of Bengal developed his own individual style of painting and went on to create history. He loved experimenting. He experimented with colour as well as the material he painted on. He used bold, vibrant and dazzling colours. In his later years, he used tempera. 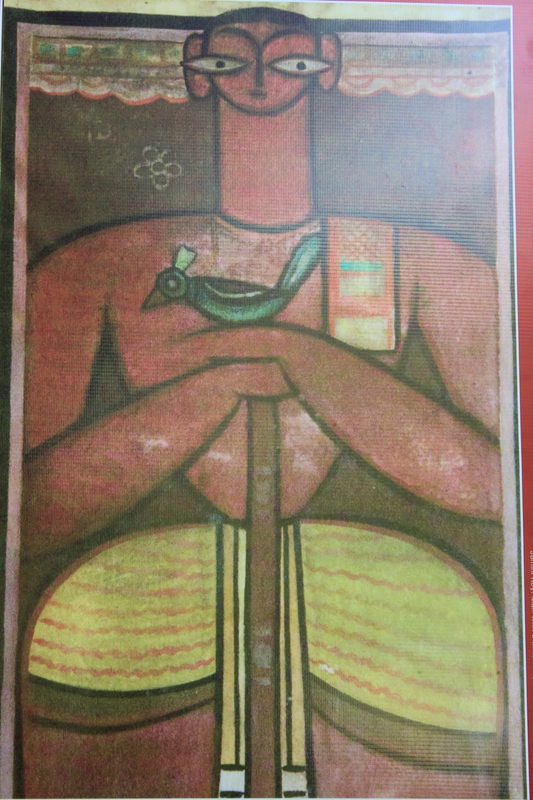 Jamini Roy painted for a living and he did well. He regularly received commissions. The versatile artist never dated his works so chronologising his works was next to impossible. His works are divided into many series. He also made copies of the works of great masters like van Gogh. He mass produced his paintings and he didn’t charge like other artists of his time. The idea was to make his works easily available for the common man. He enjoyed global recognition. The Cleveland Museum has the largest collection of his works. 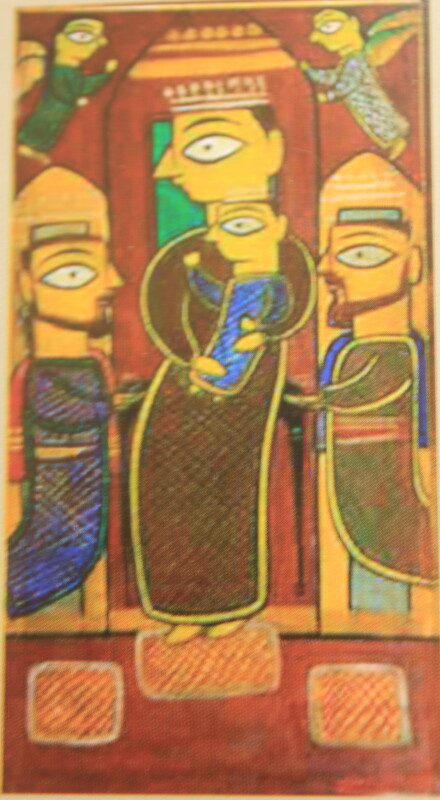 Jamini Roy’s was a highly fruitful career and it spanned six decades. During his time, he held exhibitions of his works at Arcad Gallery in London and also at New York. One of his favourite themes was ‘Mother and Child’ and he has a panoply of works on this theme in different perspectives. 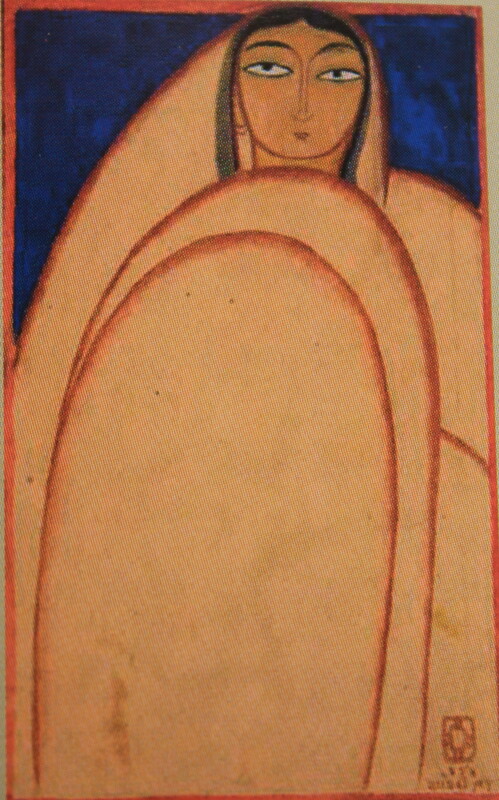 One such painting of a Santhal woman and her young son drove the great artist Abanindranath Tagore to tears. This particular painting is on show at the exhibition. The ‘Krishna-Leela’ series is exquisite. I simply loved the painting of Krishna and his brother Balarama flanked by peacocks. I don’t remember seeing a more ornate painting. 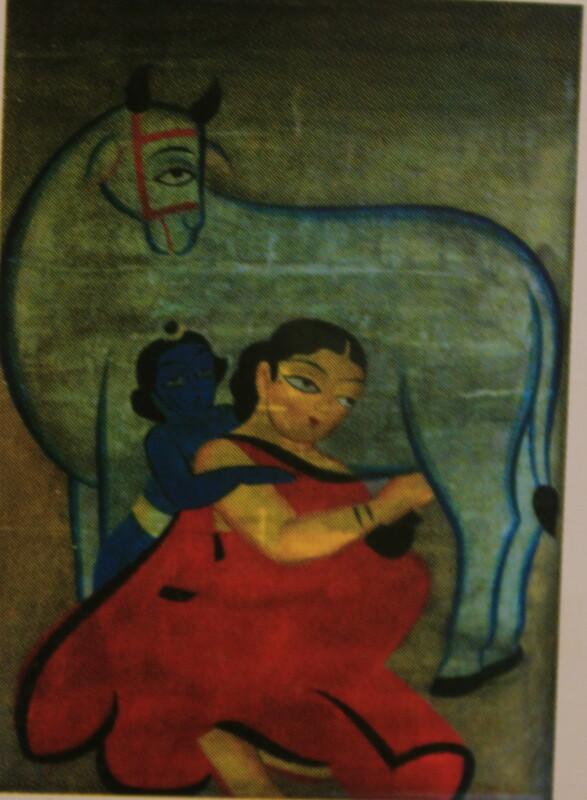 A painting of Yashoda milking a cow and the child Krishna watching her with his arm around her is a picture of innocence. And there is a smile on the cow’s face! Do look out for the painting of Krishna and the Gopikas. It is as colourful as it is expressive. The artist’s portraitures of Rabindranath Tagore and Mahatma Gandhi throw hints of his support to the Nationalist movement. 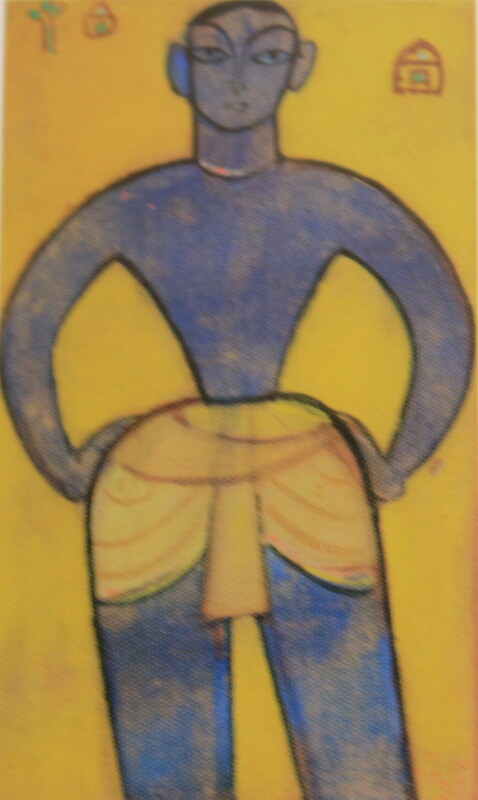 Jamini Roy’s suite of paintings featuring Santhal women has a very sensual tone unlike those of other women he painted. 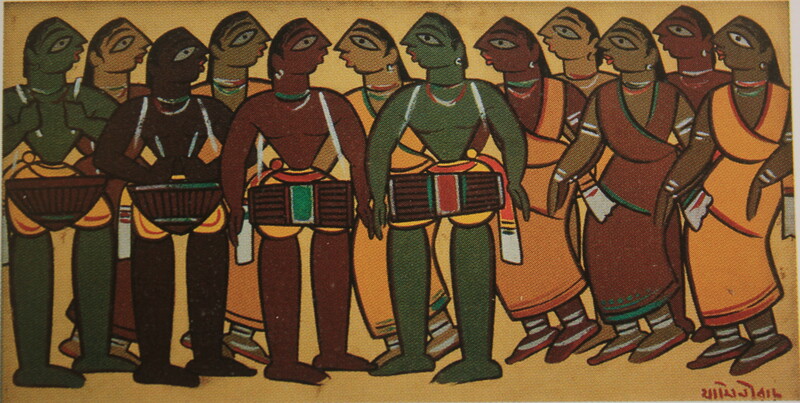 Though he stayed rooted to village culture throughout his career, Jamini Roy loved exploring other cultures. This is embodied in his series on the life of Christ. 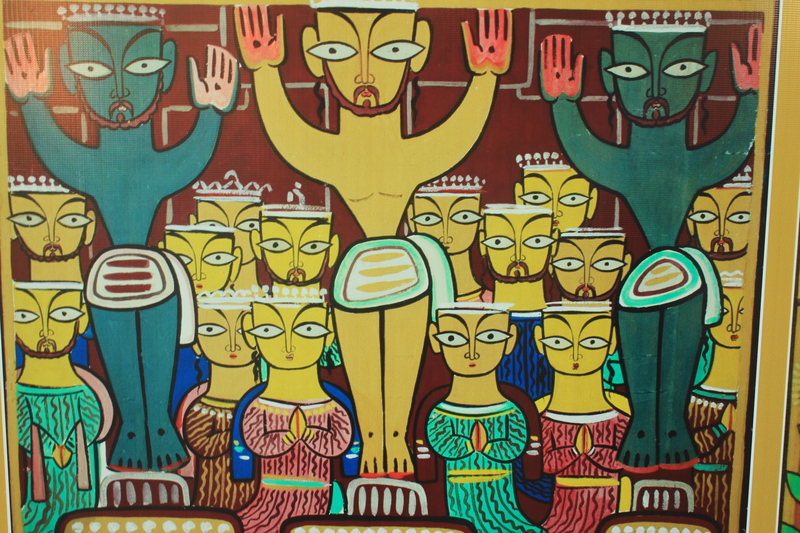 The idea of creating the series on Christ was to communicate the story of Christ to the average Bengali villager. The paintings are nothing less than spectacular. His version of the ‘Last Supper’ will have you awestruck. The painting depicting crucifixion of Christ is very colourful in spite of the tragedy of the scene. It is also very expressive and depicts divinity as well as sadness in equal measure. 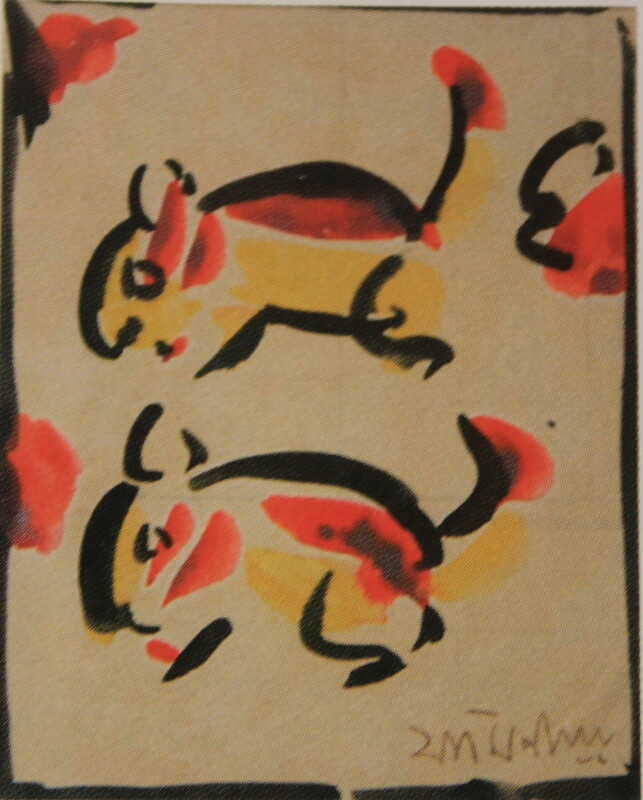 Jamini Roy’s portrayals of animals are very cute and witty. Paintings like ‘Black Horse’, ‘Rats’ and ‘Big Elephant’ are cute and ornate. ‘Cat and Lobster’ has elements of naughtiness. Another painting ‘Big Bull’ also stands out in this series. The legendary artist also produced a series on the Ramayana and Mahabharata. The painting depicting Sita’s Agnipariksha is stunning. 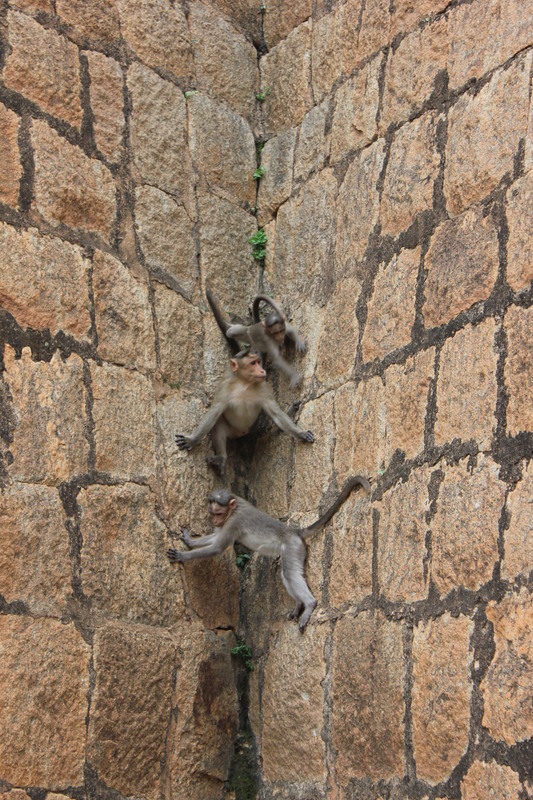 The use of colour, and the portrayals of the Monkey Gods and sages makes this work a visual feast. 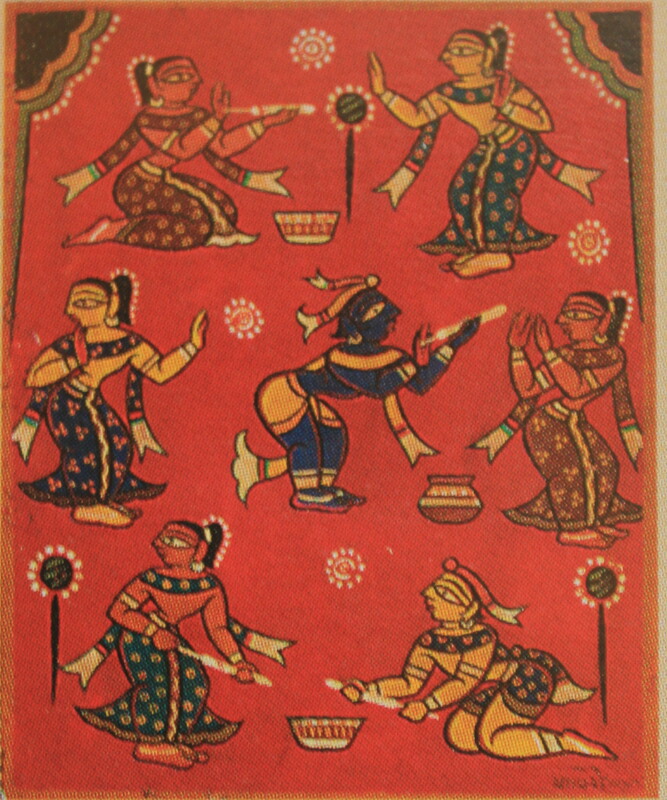 In 1935, Jamini Roy painted an entire series on Ramayana for noted Bengali sweet confectioners K. C. Das. The illustrious artist’s oeuvre also includes landscape paintings like ‘3 Boats’; people paintings like the ‘Santhal Dance’, ‘Tibetan Monk’, ‘Three Pujarins’, Blue Boy’, ‘Bibi’ and ‘Babu’; animal paintings like ‘Queen on Tiger’; an oh-so-cute depiction of a doll; and vibrant festival pictures like a colourful one showing Holi. 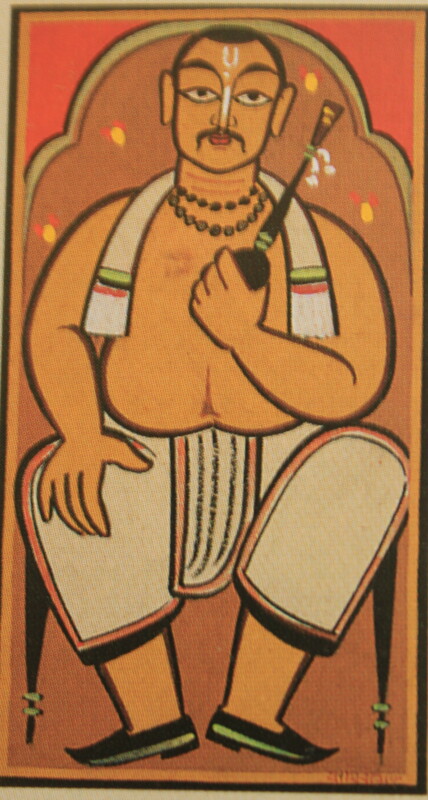 Jamini Roy was awarded the Padma Bhushan by the Government of India in 1955. He died in 1972 at the age of 85. His legacy still lives through his astonishing works. UPDATE: THE EXHIBITION HAS BEEN EXTENDED UP TO 10 MAY. 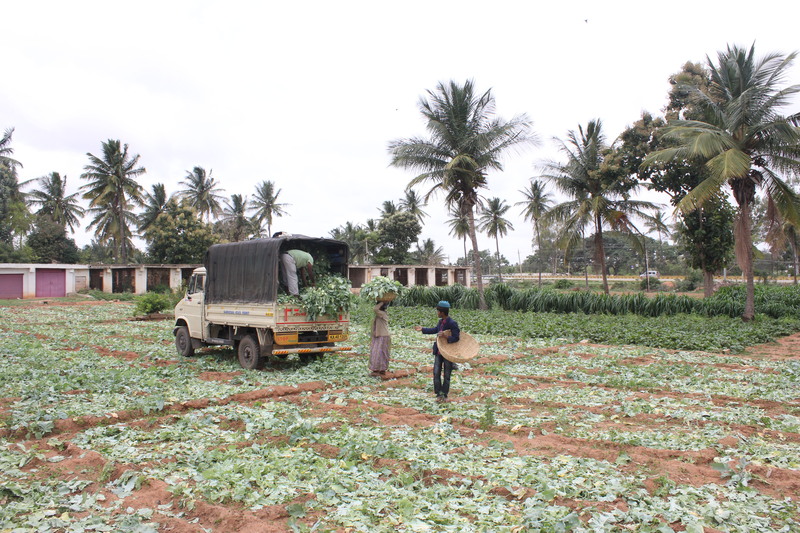 It’s harvest time at a farm. Fresh vegetables anyone? In the vast annals of Indian history, the names of many men and women and their contributions might have vanished without a trace till by sheer serendipity they suddenly re-surfaced. One of them is French Orientalist painter and photographer Constant-Georges Gasté. 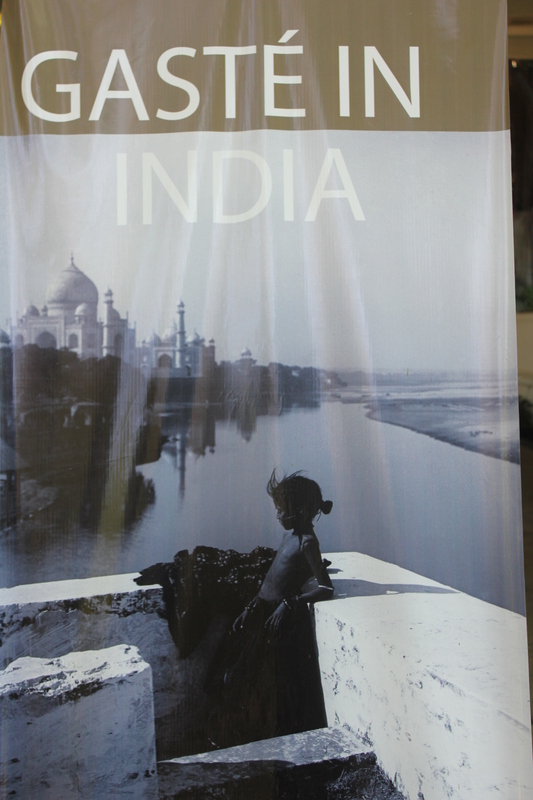 An ongoing exhibition at the NGMA showcasing Gasté’s photographs of India throw light among other things on his unique personality and style and his love for India. During his brief lifetime, Paris-born painter–photographer Constant-Georges Gasté (1869–1910) travelled a lot and this in a large way influenced his life and works. He spent some memorable years of his life in India and it was in India that he died. He visited the country in 1905 after stays in Algeria and Egypt. 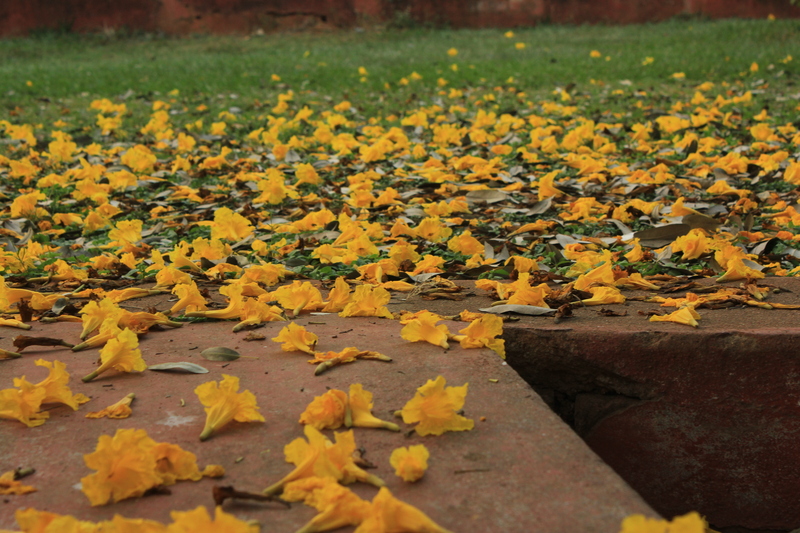 Described my many as wild-natured and publicity shy, Gasté stayed at Agra. His experiences in India led him to produce a series of paintings and photographs of North India especially the area around the Taj Mahal. All of his works during this period had an air of melancholy and stood out from those of his peers because of his unique style. His closeness to the local population in a large way showed up in his work. His pictures look amazingly close to reality. The first half of the exhibition showcases his works in North India. Particularly eye-catching are a shot of the Taj Mahal in a totally different perspective. 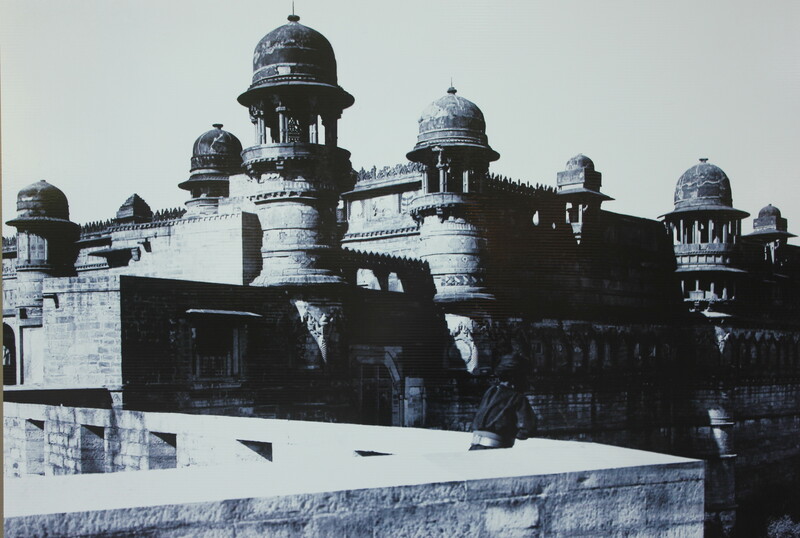 Called ‘Sita’s Terrace’, the focus of the picture is on the key character, a young girl Sita dressed in ethnic wear, standing on a terrace while the majestic Taj is blurred in the background. Being a jewellery enthusiast, I was particularly impressed with Sita’s jewellery. Her hairstyle is unique and her clothes I guess were very colourful. How I wish the picture was in colour. As Chief Guest Chiranjeev Singh pointed out during the launch of the exhibition, a notable feature of Gasté’s pictures is the play of light. The Great Mosque of Agra and the thoroughfares around it provided photo opportunities galore for Gasté. He also had a penchant to shoot at crowded areas like a busy bazaar. 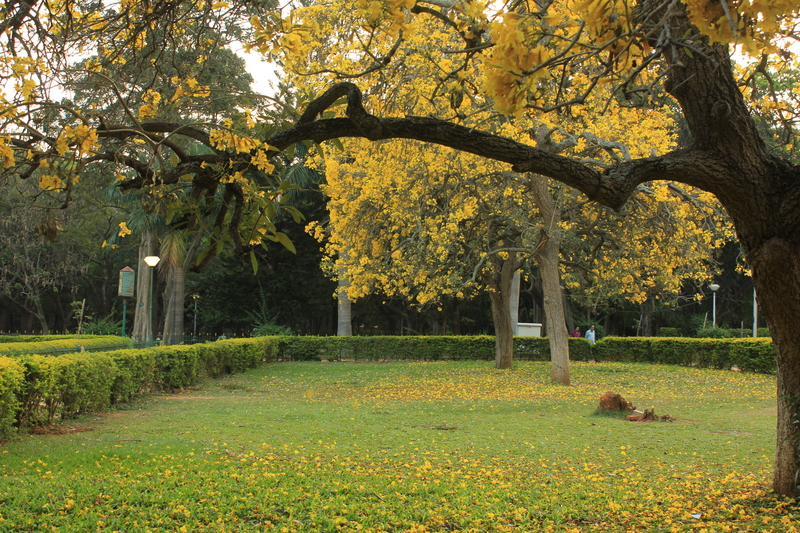 In one of his pictures titled ‘Sacred Tree’, Gasté has paid tribute to the venerable Pipal tree. There are quite a few pictures of Varanasi with emphasis on the Ghats. Surprisingly, though the pictures are of 1906 there is a strong contemporary flavour in them. Going by some of the photographs not much seems to have changed in places featured in them. His picture of a veiled woman near a cenotaph in front of the Qutab Minar depicts an element of mystique and so also a photograph of a sadhu. A picture of a monk in front of the stupa at Sarnath speaks of the majesticity of the historic edifice. 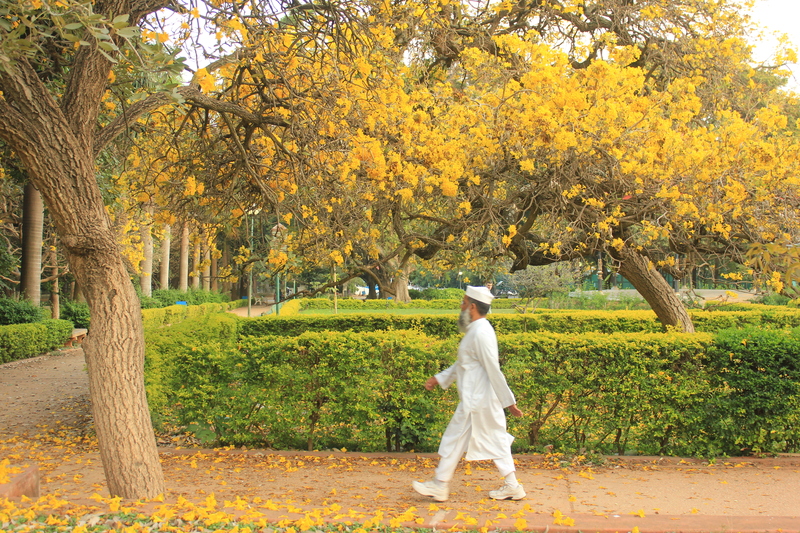 Enchanting also are pictures of the Nizamuddin Dargah, the Gwalior Fort, a street dancer and the shores of the Yamuna. 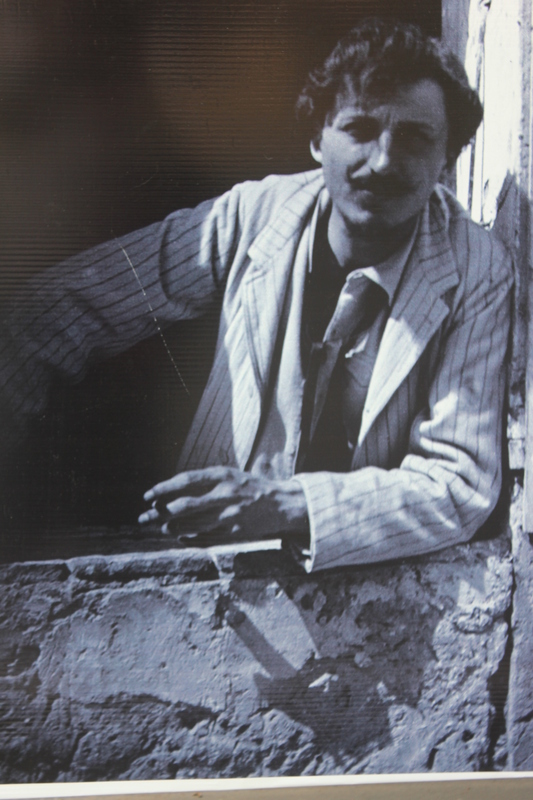 In one of the photographs, Gasté has very beautifully captured the artwork on the wall of a village dwelling. When Gasté returned to Europe in 1906, he showcased his Indian works at Orientalist Salons. They fetched him rave reviews. After a visit to Constantinople and Venice in 1908, Gasté decided to return to India to “unravel mysteries” of the country. 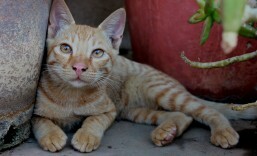 This time he chose to live in South India and settled in Madurai. 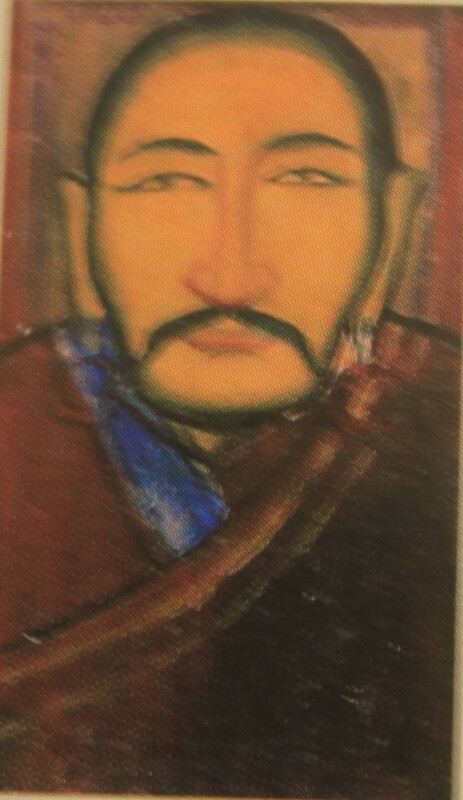 His works during his stay in Madurai were a stark contrast to the melancholic paintings and photographs which he produced during his stay in the North. Again while most of his works in North India explored the Muslim side, in contrast the ones at Madurai explored the Hindu side. 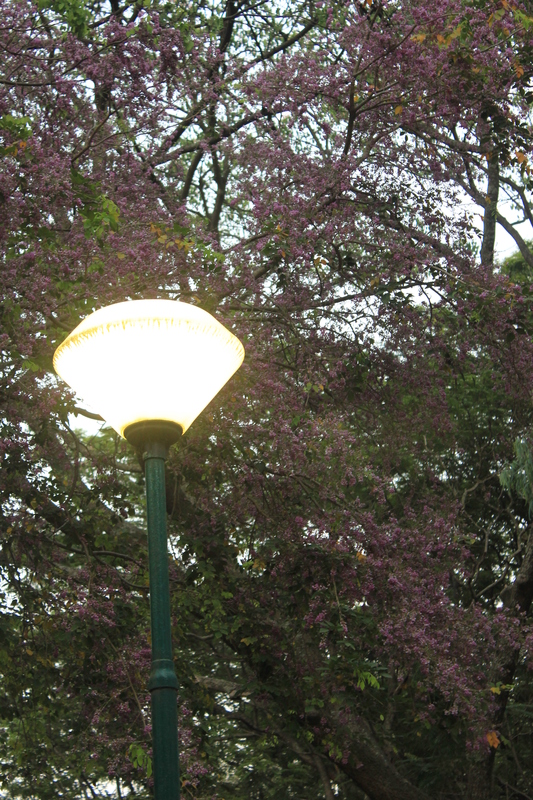 These were more vibrant and characterized by “warm shades and enameled glow”. Gasté set up a workshop in Madurai and there is a photograph featuring the workshop. A picture of Vaishavite Brahmins looks so alike Amrita Sher-Gil’s ‘Brahmacharis’. Chiranjeev Singh opined that Amrita Sher-Gil’s painting would have probably been inspired by Gasté’s photograph. Interestingly, Gasté and Amrita share the same alma mater. They both studied at Ecole de Beaux-Arts in Paris. Gasté has done a painting on the same subject and it is titled ‘Bain des Brahmines’ (The Brahmins Bath). He considers the painting as his most accomplished work. 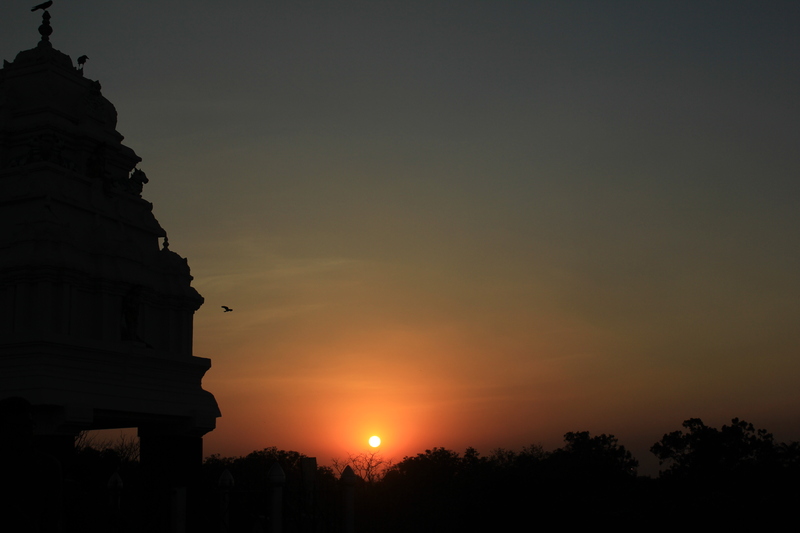 No photographer in Madurai can miss out on the famous Meenakshi Sundareshvara Temple. Gasté’s picture of a thoroughfare outside the temple is among the collection. Some of the photos carry a festive flavour; not surprising since Madurai is a temple town and there are festivals throughout the year. During his times, Gasté certainly made a mark in India. Sadly he died young, at 41. He passed away in Madurai on 12 September 1910. 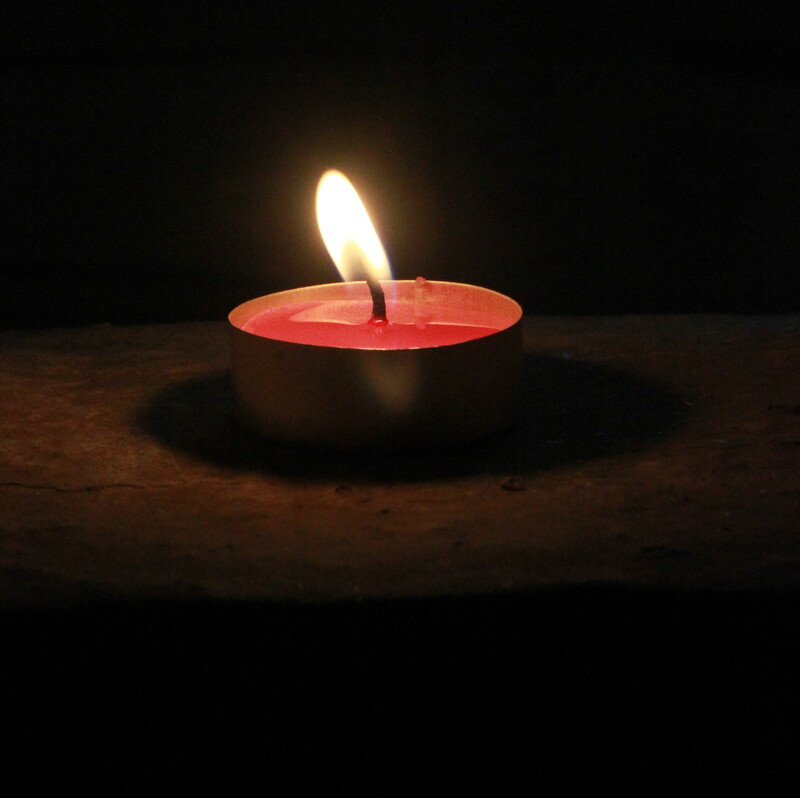 The Frenchman is believed to have died in the solitude of his workshop. 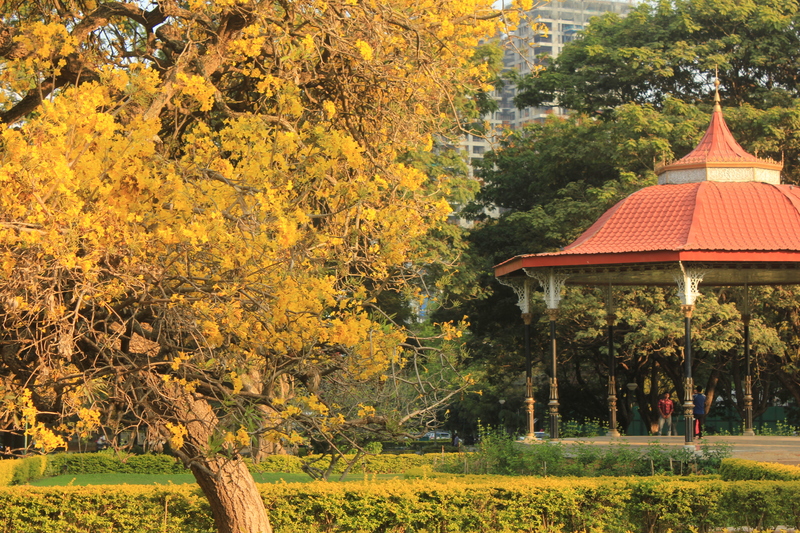 Like in his later days, Gasté had lived a lonely life as a child. He lost his father at a very young age and was raised by his mother. 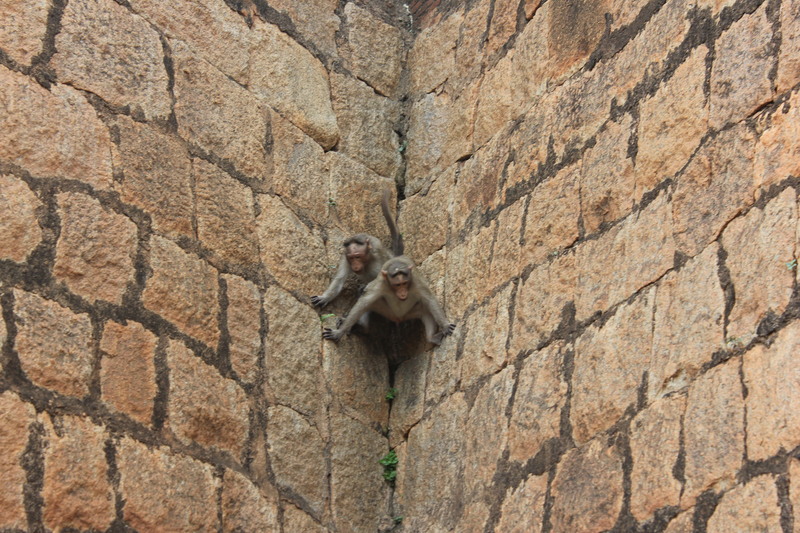 Definitely, Gasté’s footsteps in India are indelible. The exhibition is on at the National Gallery of Modern Art till 27 March 2015. See if you can make it. 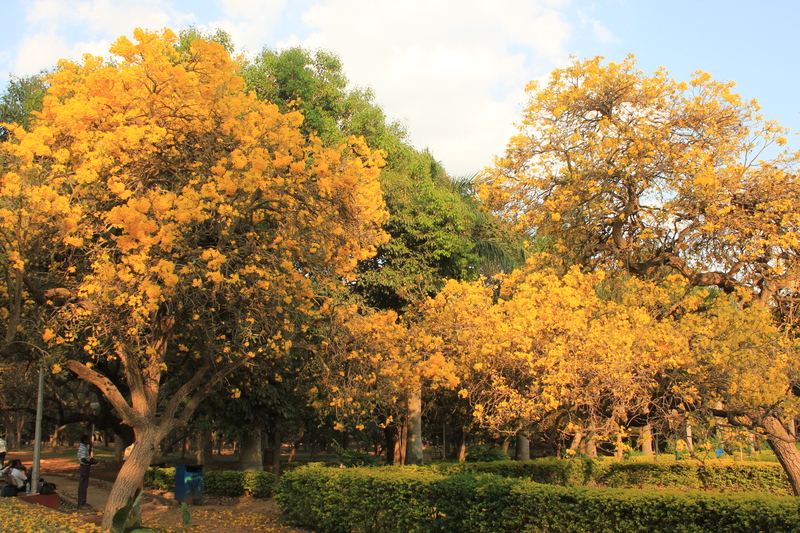 Being around fully blossomed Trees of Gold is a surreal experience. 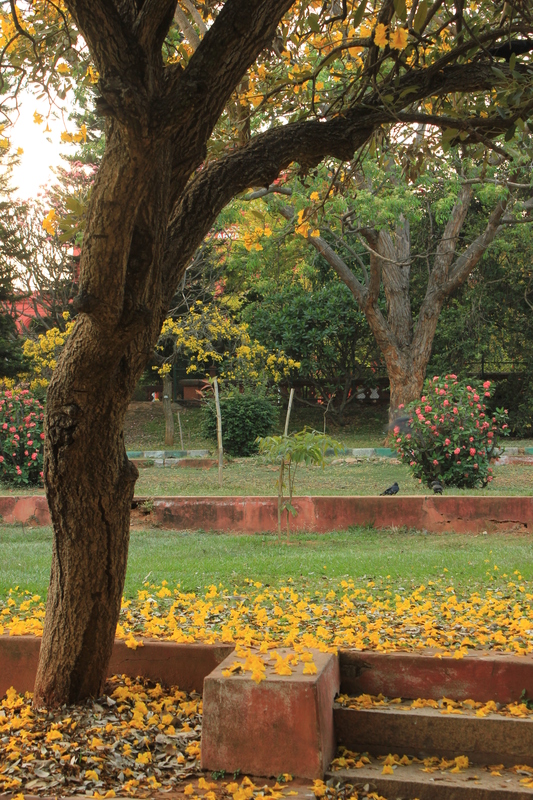 There is a certain aura of divinity surrounding these lovely trees which makes one not want to leave the place at all. You are intoxicated with the feeling of being in paradise. 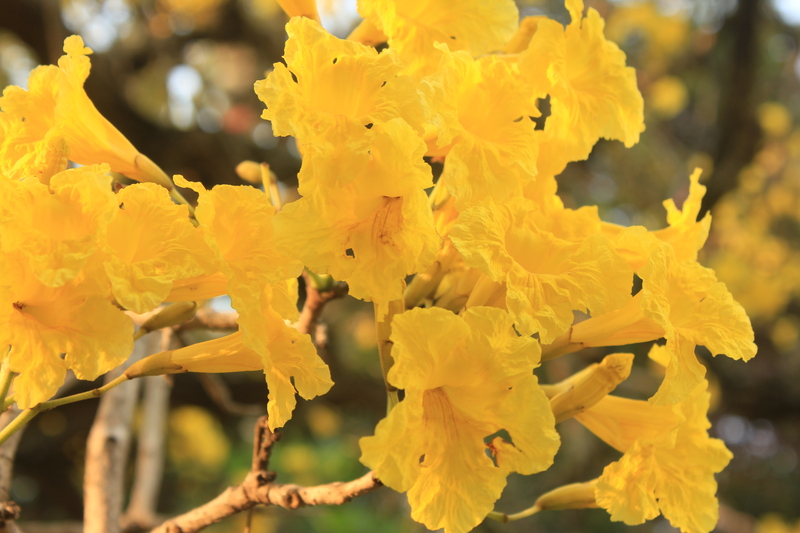 This year, the Trees of Gold (Tabebuia argentea) have blossomed a tad late heralding summer with grandeur. 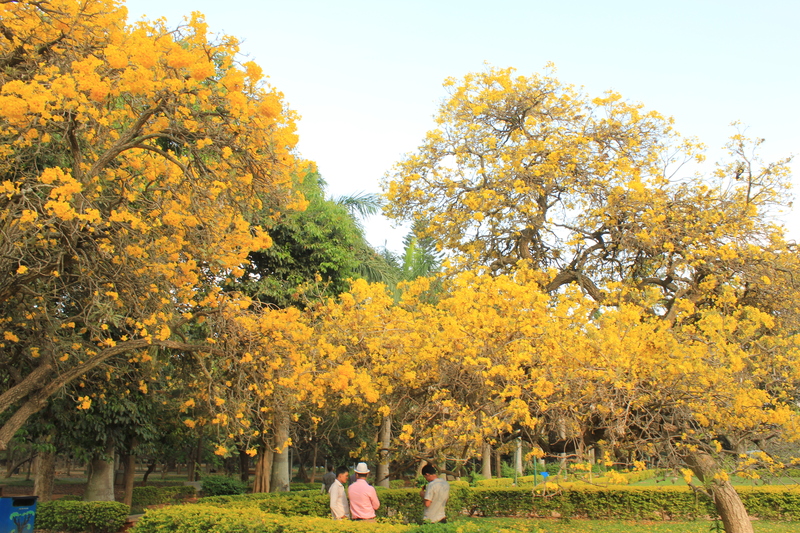 Like always, the yellow blooms around the Bandstand at Cubbon Park have been drawing visitors, bees, crows and mynas by the droves. When I went there on a lovely Thursday afternoon, there was so much happening under and around the bright yellow canopies. 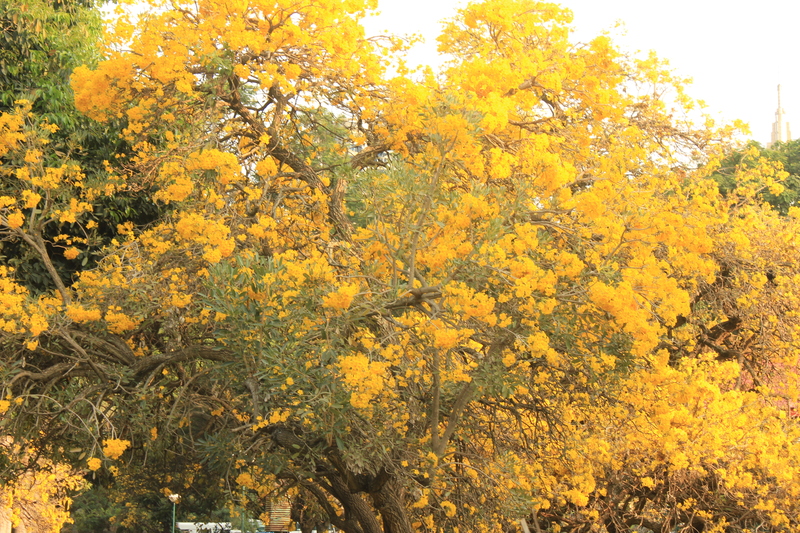 A lot of folks were having themselves photographed against the splendid yellow background. 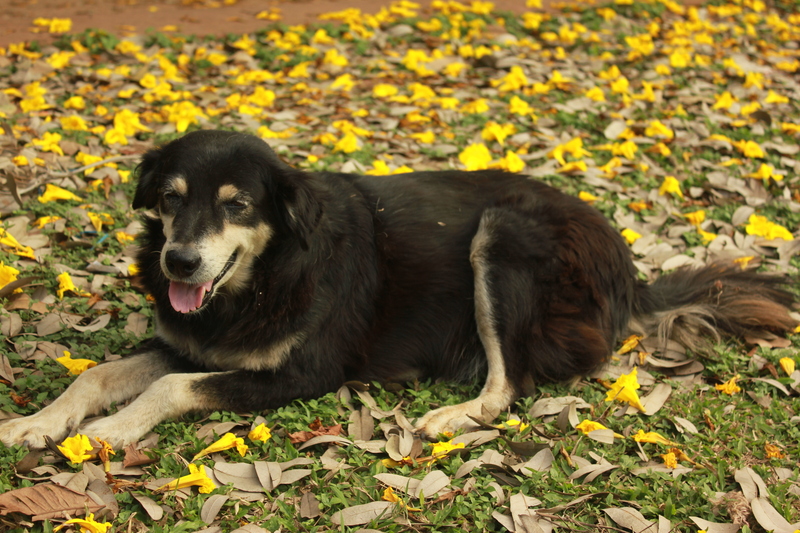 Dogs were enjoying their afternoon siesta on beds of yellow flowers and dry leaves. High on a tree, I noticed a rare scene of affection. 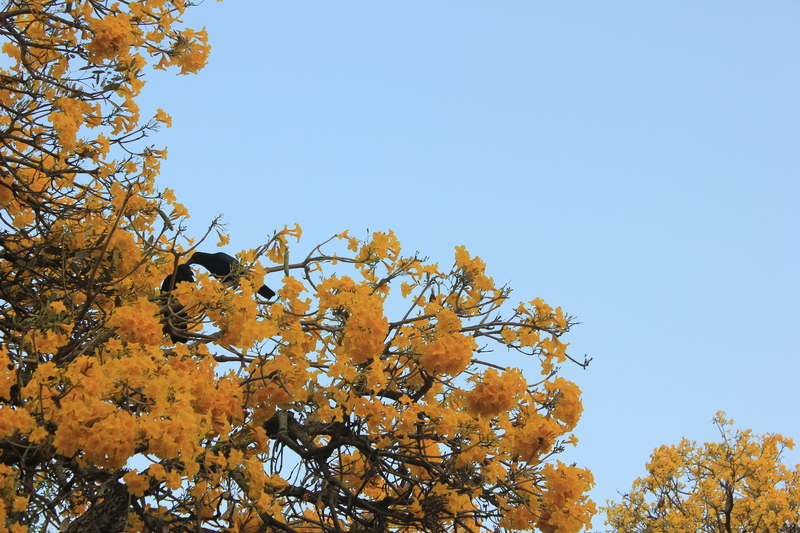 A house crow was feeding a jungle crow. Awww… How sweet can that be! After a while, a group of people carrying bagfuls of cooked rice started emptying them on the lawns. Many of the canines that were till then relaxing or sleeping on the lawns suddenly flocked to the food. Lots of crows joined in. The rice was distributed evenly to all the critters. Every one of them got enough to eat. 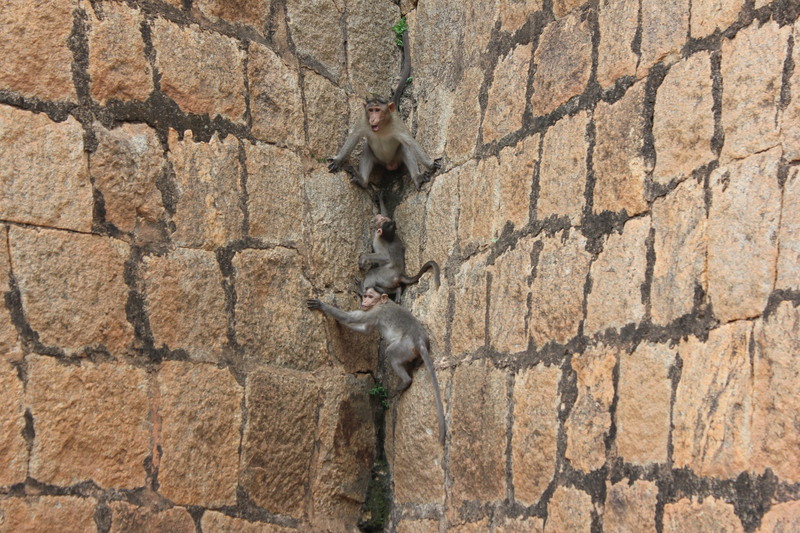 One of the men tells me that the mass feeding of critters happens twice a day – in the morning and late in the afternoon – and it is sponsored by Arjun and Sarja, the owners of a hotel in UB City. God bless them!